On the heels of the successful Denver teachers’ strike, over 90 percent of King Soopers and City Market employees in Colorado have voted to strike. 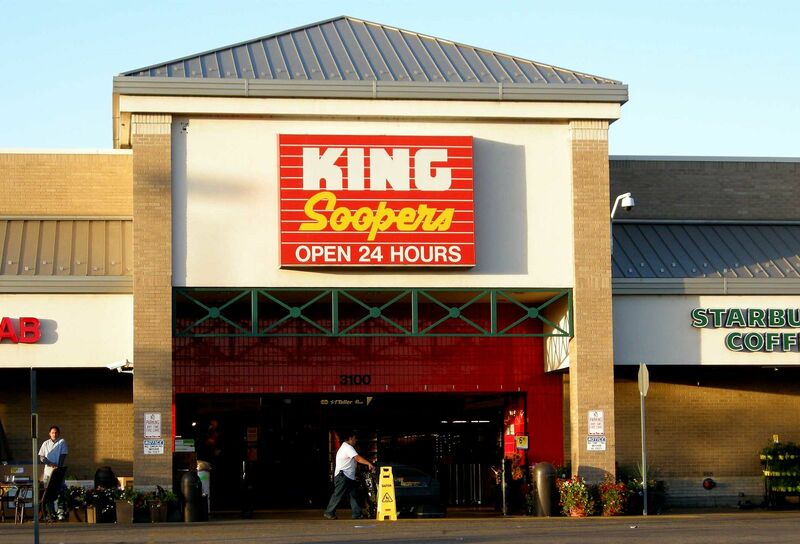 Their union, UFCW Local 7, represents over 12,000 workers.King Soopers and City Market are owned by Kroger, the largest grocery retailer in the United States and third largest retailer in the world. Kroger’s profits were almost $2 billion last year. While Kroger workers are paid at or near minimum wage, the CEO makes around $10 million per year–that is, the CEO makes 547 times the median pay of employees. In addition to paying poverty wages the company has eliminated jobs at hundreds of stores in recent years after aggressively implementing new self-checkout and scan-and-go technology. During three months of negotiations with the union, Kroger has refused to budge on workers’ requests for better health benefits, increased wages, a better pension and more full-time positions. Their most recent offer would give no raise to most workers and only a $0.30 raise to journeymen and other already higher-paid workers. Store managers have been tearing down union notices, making employees remove their union pins and shirts, and demanding that workers resign their union membership. Despite agreeing to stop recruiting scabs, stores have continued to advertise high pay for temporary workers during the period of a strike. But workers have shown they are ready to fight back. Hundreds of people have shown up to bargaining sessions chanting, “Union proud!” and “What time is it? Union time!” The union has released videos on social media of members making picket signs during bargaining sessions and saying they are ready to strike. Unsurprisingly, local corporate-owned media like the Denver Post, CBS 4, and 9News have sided with Kroger, giving heavy coverage to management statements and stressing the inconvenience a strike could cause shoppers. It is clear that the bosses are scared by an empowered workers’ movement. With their strike vote, Kroger’s grocery workers in Colorado find themselves in good company alongside the teachers in Denver, Los Angeles and Oakland who struck recently and won major gains in their workplaces. The Party for Socialism and Liberation in Colorado stands in solidarity with the grocery workers and plans on joining them on the picket lines, just as we did in recent weeks alongside striking teachers. All power to the workers! Rising rents are driving working class Californians out of the neighborhoods they grew up in. Liberation News interviews workers about organizing on the job.